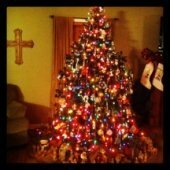 This 19th Christmas devotion of these twenty-five Christmas countdown on-the-go, active, object lesson devotions with Bible verses to help us keep our focus on the true reason for the season! Each day snap a photo of each item for a visual and use as a photo challenge on Social Media, or with your family, small group, friends or just for yourself. It’s a fun way to enjoy the presence of Christ each and every day as we look towards celebrating His birthday! This photo was one of those "God moments"; it's probably my favorite one so far because the gift God gave in it! I took a picture of this ornament - one..because it's red, and secondly because it's sentimental. It's around 70 years old and hung on my family's Christmas tree before I was ever born! But look closer...did you notice the reflection?! I didn't until I was getting ready to write this devotion...that's when I saw the cross reflected in the glass ornament! Also, did you notice the large scratch that looks like a scar? When I think of the color red especially at Christmas, it causes me to remember the "red" of our verse for today - Jesus' blood of the covenant. God's promise to provide a Savior was sealed by the blood of His Son. It was poured out for many - to all who will believe, receive. It is for the forgiveness, the complete washing away of sins. Earlier in this chapter - Matthew 26 - Jesus is telling His disciples about His upcoming death and as they now are sitting down to this "Last Supper," He is telling them to remember. 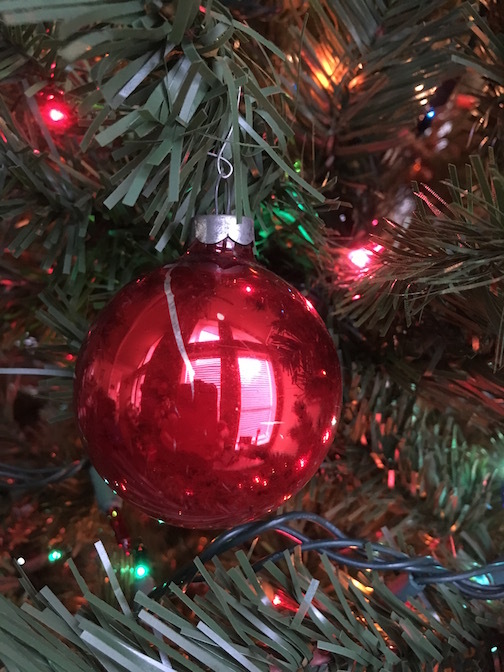 And like the reflection in this glass ornament, may we be a reflection of His love to those around us. Satan would want us to fall into the trap of business and stress and forget. Christmas is all about remembering though and sharing Jesus with those around us looking for hope and meaning in life! 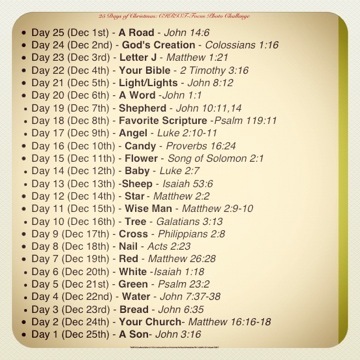 So...."red" - A Christmas devotion to Remember & Reflect.